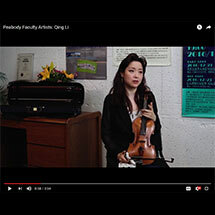 Astonishing in her musical versatility, violinist Qing Li brings great warmth, poise and insight to her music making. 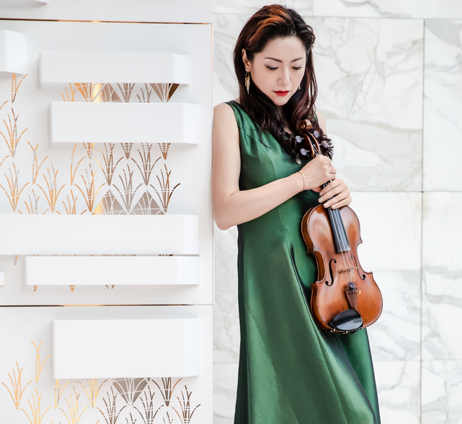 Ms. Li is currently the BSO’s Principal Second Violin, appointed by Yuri Temirkanov in 2000 upon winning the audition and is frequently featured as a soloist. Other solo engagements have included the Butterfly Lovers Concerto at the Kimmel Center in Philadelphia, the Haydn violin concerto with the Richmond Symphony and the Bach Double Concerto with Hilary Hahn. Ms. Li is a Piatigorsky Foundation Artist, a much sought after recitalist, chamber musician and guest concertmaster, such as a guest concertmaster at the Iceland Symphony in Reykjavik. Throughout the great cities of America, South America, Europe and Asia, her broadcast appearances include a biography on Voice Of America, interviews on Baltimore’s WBJC and WYPR radio and television stations in the U.S., Germany and China. She is also a member of the PBS's three-time Emmy Award®- winning production, “The All Star Orchestra.” Ms. Li will be featured as one of the soloists a BSO subscription series in October 2018, under the direction of Maestro Nicholas McGegan. Critics have praised Qing Li’s solo performances, describing them as "the highest level musically," (The Baltimore Sun), "unsurpassed technical brilliance" (Hohenlohe, German newspaper) and "as the soloist, Qing was flawless... particularly in a stunning cadenza near the end of the first movement in the Haydn violin concerto. Her style was impeccable..." (Richmond Times). 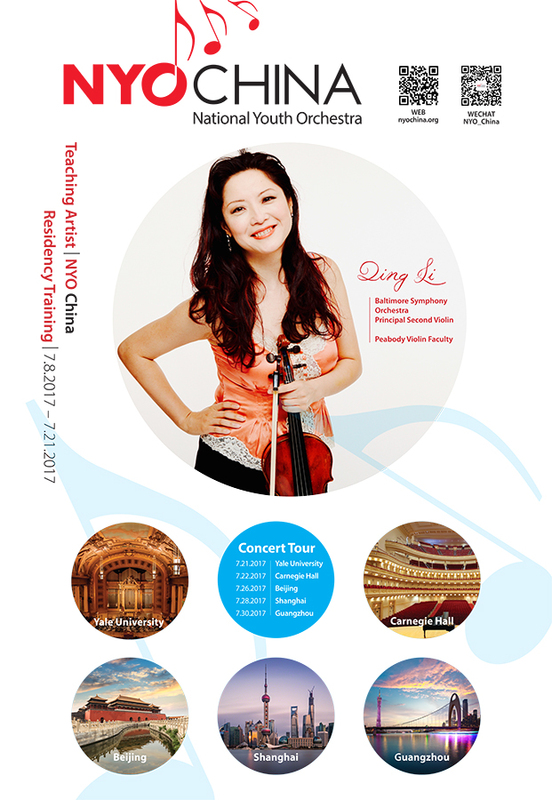 Ms. Li is currently a faculty member of the Peabody Conservatory of Music and serves as faculty for festivals and programs around the world. She has always felt that teaching is her way of repaying the kindness shown to her by her mentors. She was the Associate Concert Master at the Eastern Music Festival in 2016, as well as a faculty member for EMF, the Beijing International Music festival and the Master Players Festival in Delaware. She has also taught at the University of Delaware, the Festival Internacional de Inverno Compos do Jordão Winter Festival in Brazil, the Central Conservatory of Music in Beijing, China Conservatory and music schools and conservatories in Shanghai and Hangzhou. Ms. Li is on the Faculty Artist team embarking on a new international project called, NYO-China Carnegie hall in 2017. She also performed in the NYO-China Chamber Music Festival in Beijing in 2018. 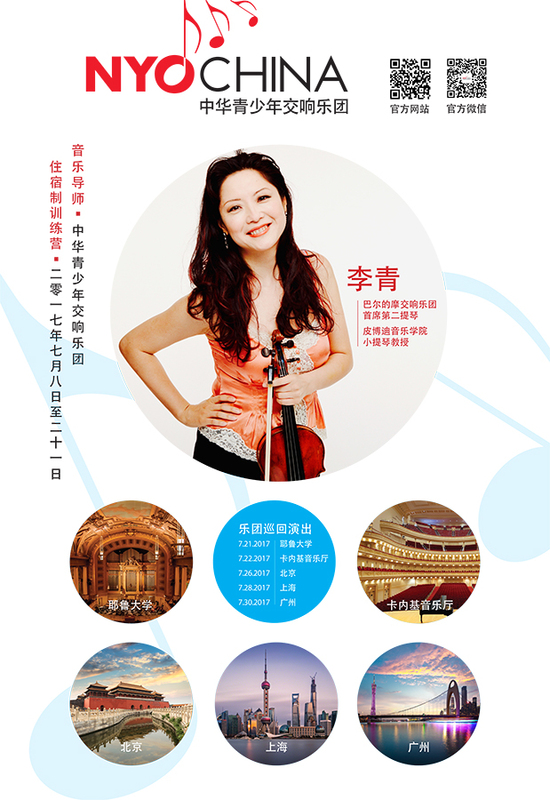 Born in Beijing China, Ms. Li began violin studies at age 4 with her father Zhen-Kun Li. At age 12, Qing Li was accepted to the Central Conservatory of Music in Beijing. There she was discovered at a master class by Berl Senofsky, the first American to win the prestigious Queen Elizabeth International Violin Competition. Based on a prize winning Sibelius Violin Concerto performance at the first Beijing International Violin Competition, Mr. Senofsky brought her to the renowned Peabody Conservatory of Music. She was granted a full scholarship and won the Marbury violin competition. Ms. Li has also studied with Herbert Greenberg. After graduating from Peabody she studied with the legendary Joseph Gingold and won fellowships at major music festivals including Aspen, Tanglewood, Meadowmount and Alexander Schneider's New York String Seminar. Ms. Li had won her first position in the Baltimore Symphony Orchestra, playing on a $100 Chinese violin which was a gift from her father. She currently performs on her Neapolitan instrument made by Nicolo Gagliano in 1736.